Dear came to Raffles Place and met me for lunch today. We were caught in a sudden heavy downpour. Initially planned to go to Asian Kitchen for some soupy stuff, but because of the rain, we went to the Japanese Resturant at Far East Square instead. Both of us were too full with our set lunches and 10 pcs of maki that I ended up eating the filling of the last maki. 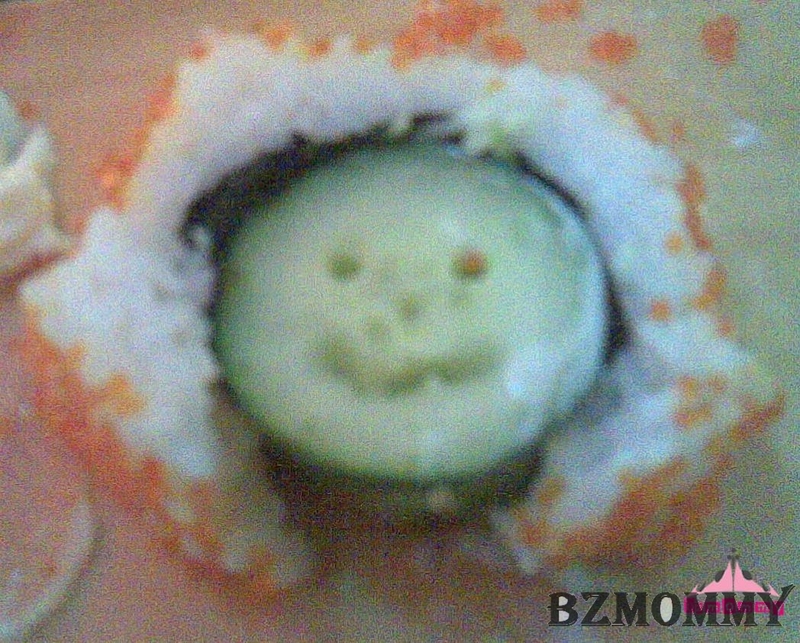 And naughty me decided to create something silly using the leftover sushi rice and the cucumbers. Pardon me with the bad clarity of the photo because it was taken by my mobile phone and the lighting condition was bad because of the gloomy sky. This entry was posted in Food, Random and tagged Food, Happenings.